In only a couple of days, most of us will be sitting around tables with friends and family sharing in delicious food and good conversation. Then, after that, we have about two more months of these gatherings until the New Year opens the glitzy drawbridge and we can enter the next stage of our lives. This is a very exciting time of the year as we give thanks for all the people and things that make us happy. 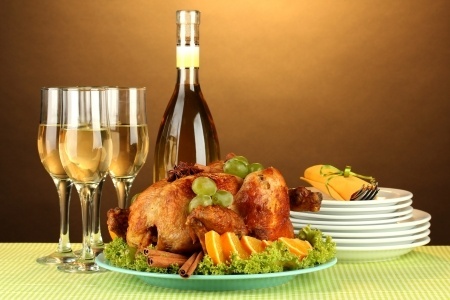 When you think of Thanksgiving or this time of the year, chances are you do not think of weddings, bridal parties, or anything related to nuptials. Perhaps you should; after all, “The holiday season is a popular time for popping the question and more than a quarter of engagements take place between Thanksgiving and Valentine’s day,” according to HNGN. Hmm…that makes sense. This is the season of celebrations, friends, and families. If you are going to pop the question, now is a good time, especially since you are constantly with loved ones. Maybe there is no better time of the year to do it. At the very least, it is convenient. The specialness and cheerful atmosphere is there for the taking. So yes, there is a wedding-like enthusiasm in November and December, but this is not a blog post about the surge in engagement proposals this time of the year; rather, I want you to think of what you are thankful for when it comes to weddings nowadays. Now hear me out. If Thanksgiving reminds us of all the ways in which we are fortunate, and of all that we take for granted, we should apply that same attitude to weddings and wedding planning. In other words, what wedding trends do you take for granted? What wedding trends do you like? Regardless of how you feel, the ball is in your court when it comes to imagining and reimagining wedding trends and that is something we should all be thankful for. These days the most beautiful thing about getting married is that you can completely customize the wedding, make it all about you and your partner. 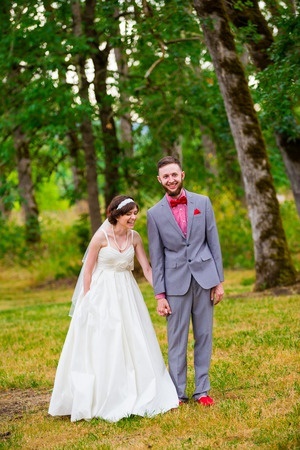 Just look at this Huff Post Weddings article. Maybe that is the overarching message of Thanksgiving, “breathing new life into tried-and-true favorites and make them your own.” Sainato covers 10 different wedding trends, including mason jars, burlap with lace accents, photo booths, candy bars, chevron, barn or Gatsby-themed weddings, overly produced wedding photos, muted color palettes, creative signage, and sparkler sendoffs. Now that list might make you dizzy, but the trick to customizing your wedding is to take these “classic” trends and spice them up or, in other words, show them how thankful you are in a different way. Take photo booths for example, which are a staple at most weddings. Having your photo taken is always fun, but it is easy to become complacent because of the same old photo booth where you and your date or you and a bunch of friends cram into something that is the size of a cubicle and make funny faces for a few seconds. Photo booths should be about emotion and fluidity. It should not turn wedding guests into stiff, almost-stoic mannequins. Sainato suggests we add things like unique backdrops and funky-looking furniture to the photo booth experience. We need to have the photo booth match the personality of the wedding reception. This might also mean upping the technological magic and offering a video booth option for your wedding guests. Remember, every aspect of your wedding is completely up to you, so you must determine what trends you are grateful for and what trends you could do without. Although Sainato offers up some nice suggestions, the ball is always in your court. At Kelli Burns Entertainment, I will help you breathe new life into tried-and-true wedding favorites and make them your own, and that is something I am very thankful for.